Romania, year AD 635, the dragon-like monster known as Azael terrorized cities and villages without remorse, and without hesitation. 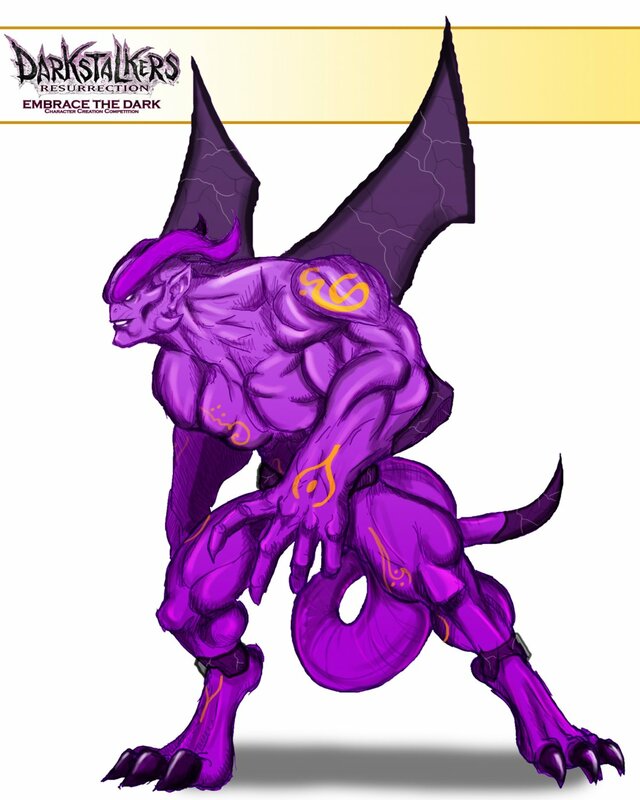 Day and night, from town to town, nothing was able to stop this purple behemoth. The Archbishops of Romania, with the help of the powerful sorcerer, St. Romanus, finally devised a spell that would entrap and subdue the mighty beast. Lured with an offer of sacrifice by the people of Romania, Azael fell into the sorcerer's trap and a powerful spell was placed upon his body, magic rune markings that enslaved the creature to the whims of man. 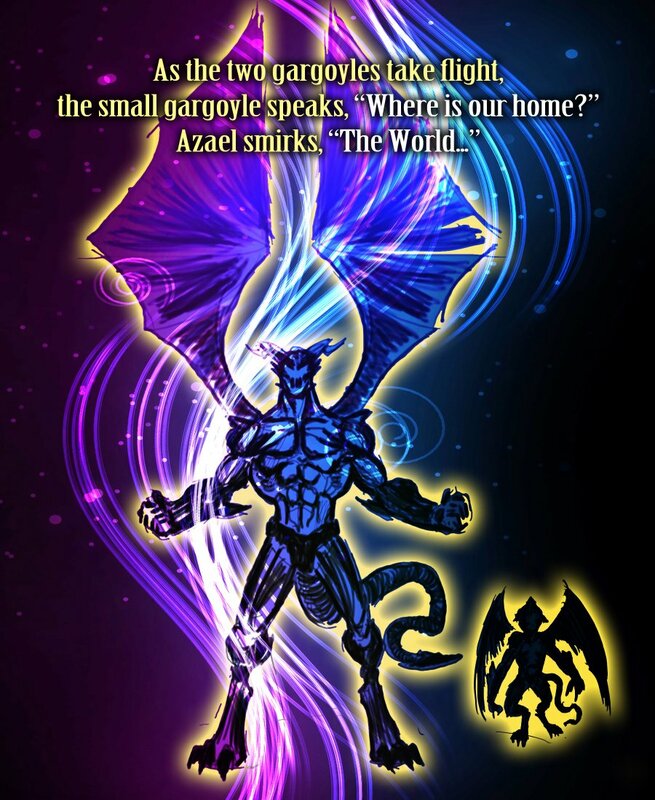 Under the control of the church, Azael's power was used against his will to protect the humans from evil. 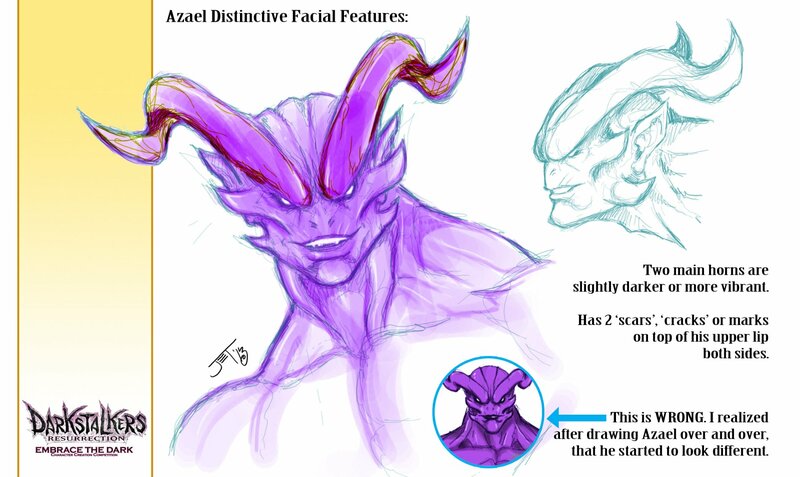 The rune markings left on his skin also turned Azael into stone when he was not called upon. Azael was furious, but could not break the sorcerer's spell. Years went by as the church hid behind Azael's might, annihilating its enemies. 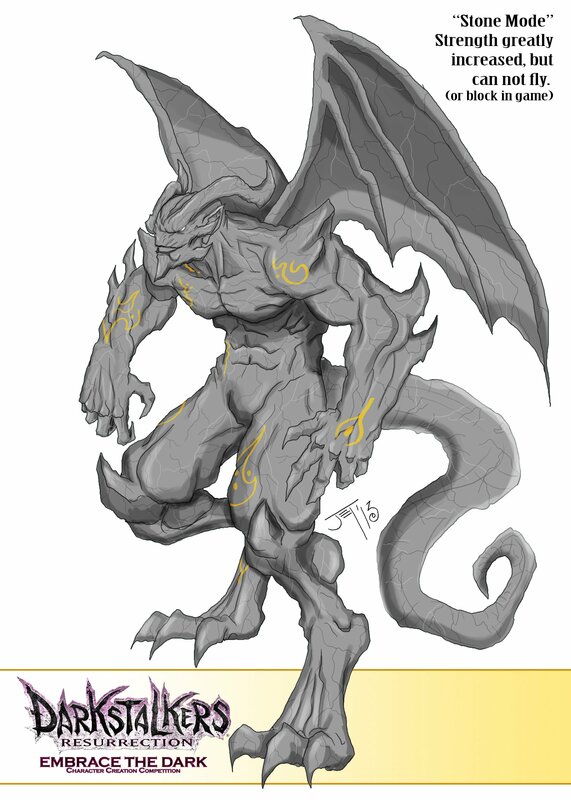 Finally, after decades of peace, the statue of Azael, along with its secrets seemed to fade away, forgotten and lost in time...leaving the beast in a slumber for more than a thousand years. Present day. A small group of religious fanatics find an ancient relic - a mysterious book. 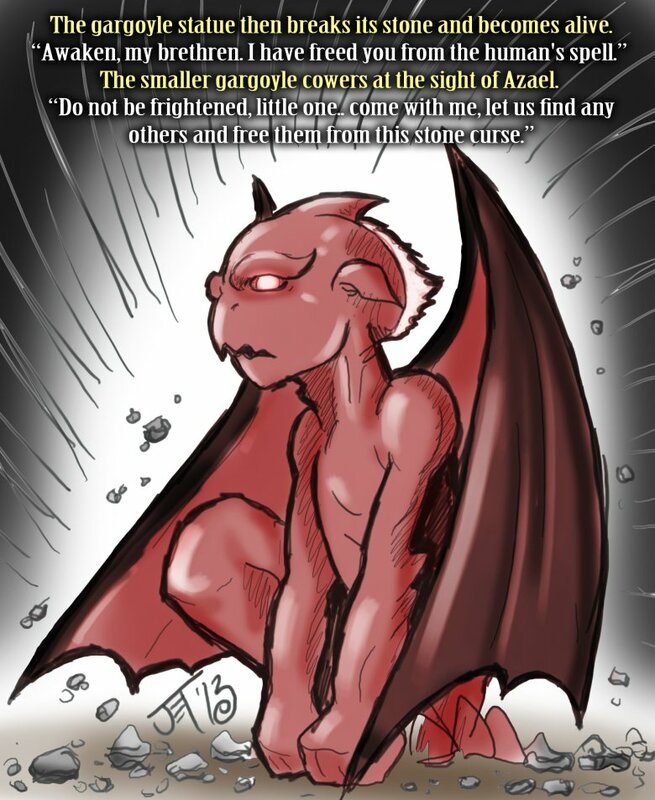 Within this book contains the legend of St. Romanus and the spell to call upon the legendary gargoyle, Azael. 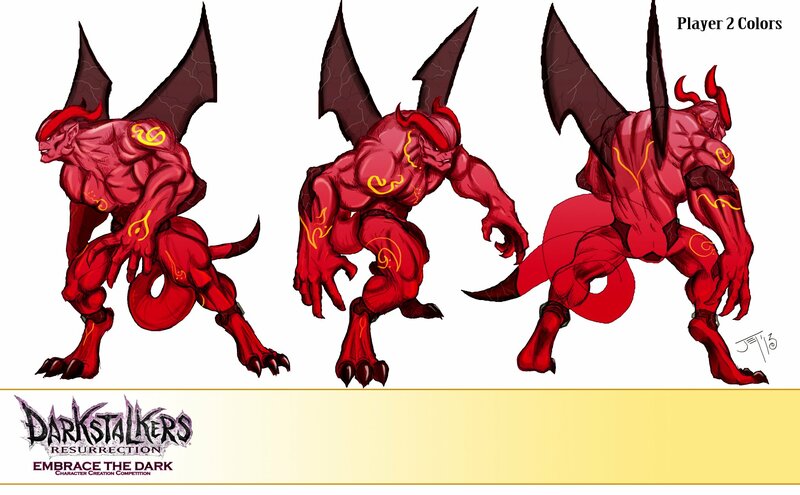 With the resurgence of Darkstalkers appearing around the world, the fanatics construct a plan to find the statue of Azael to call upon him once again, and use his power to protect man against the demons and monsters they greatly fear. After a long journey, the group finds the ancient, abandoned cathedral where the statue of Azael resides. They remove the floor panels to discover a hidden chamber underground, and proceed through. Upon finding the ancient statue, they waste no time and use the spell to awaken the beast from his stone slumber. 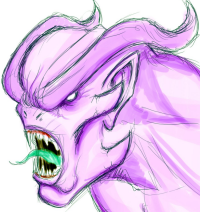 Stone breaks and chip away, falling onto the ground and radiant flesh of regal color appears... Azael is once again alive. "You! 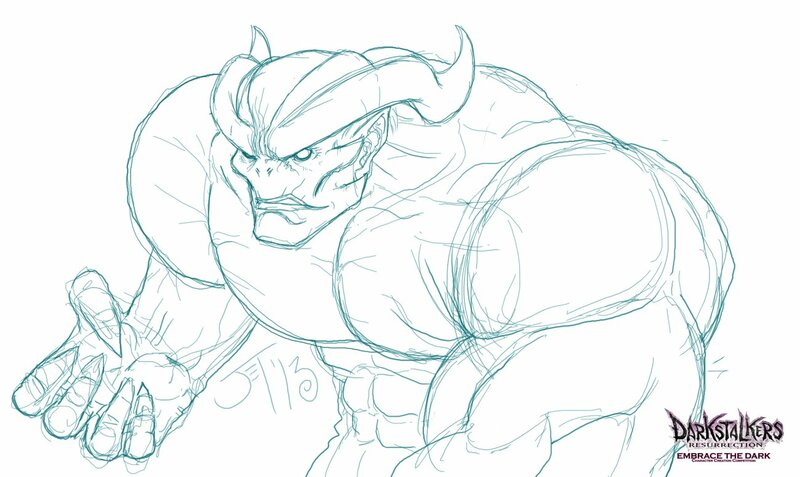 Monster! We have summoned you to once again rid the demons of the world!" says the leader of the group. "Hmmm... 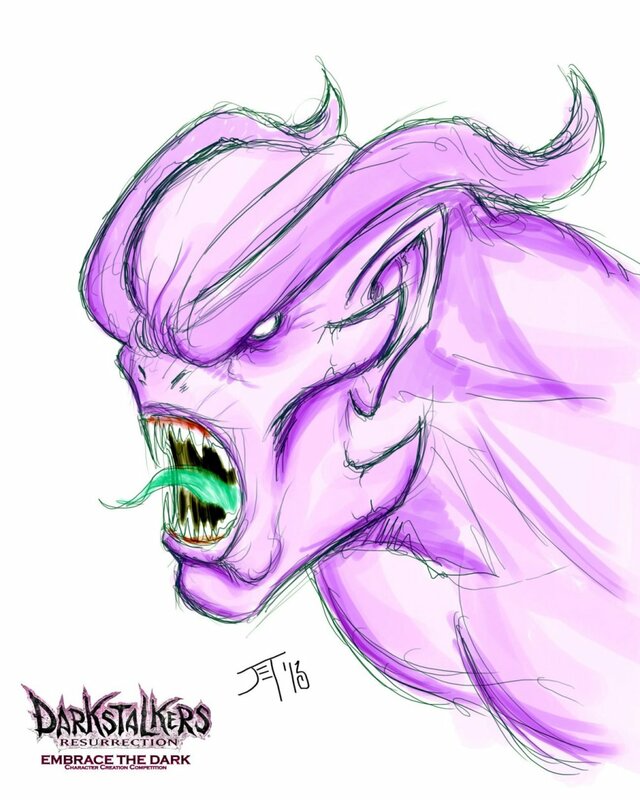 Foolish flesh creature, you have no power over me!" 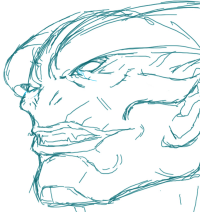 says Azael, "In my dormancy, I have grown more powerful than ever...and you humans have gotten weaker." Within seconds, the group is massacred with ease. Azael takes flight, breaking through the cathedral's ceiling into the liberating dark night. Hovering over his imprisonment, he ponders, "How much time has passed? 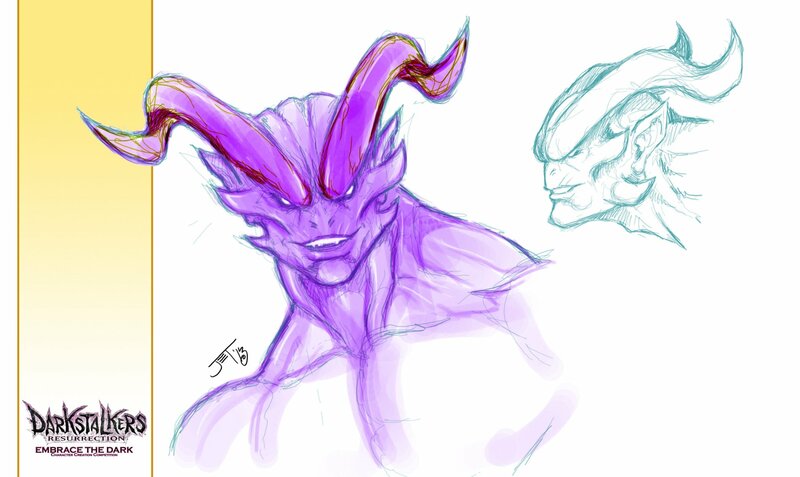 And what of these demons the humans mentioned? No matter, I shall make the humans pay.. Never again shall I be fooled by man!" 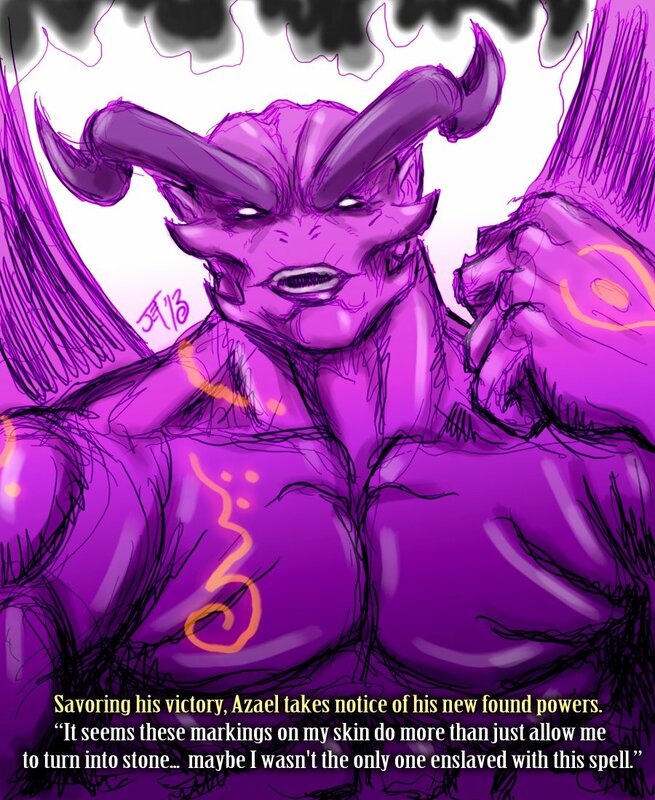 Savoring his victory, Azael takes notice of his new found powers. "It seems these markings on my skin do more than just allow me to turn into stone... maybe I wasn't the only one enslaved with this spell." 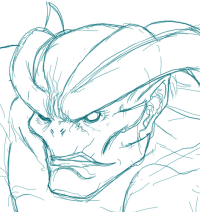 A nearby statue of a small gargoyle seems to be reacting to the rune markings. 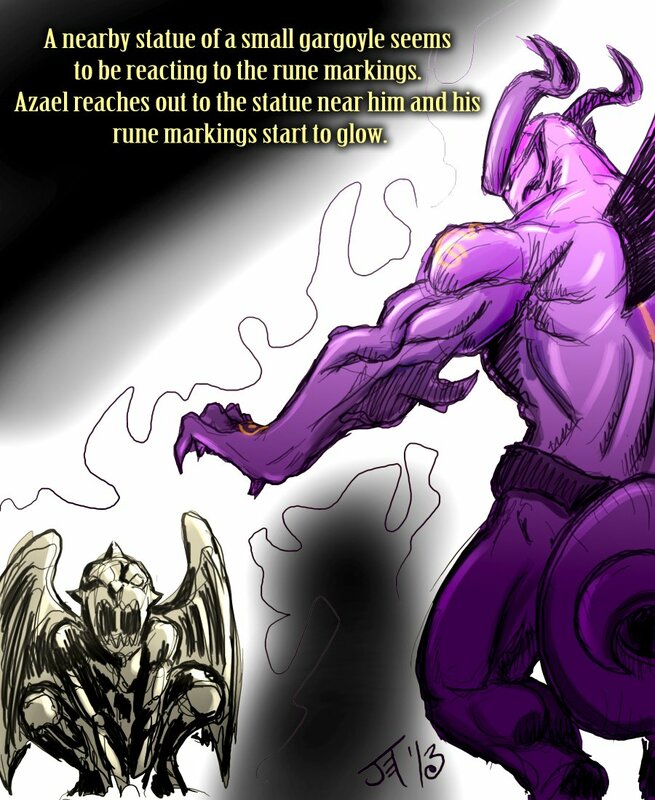 Azael reaches out to the statue near him and his rune markings start to glow. 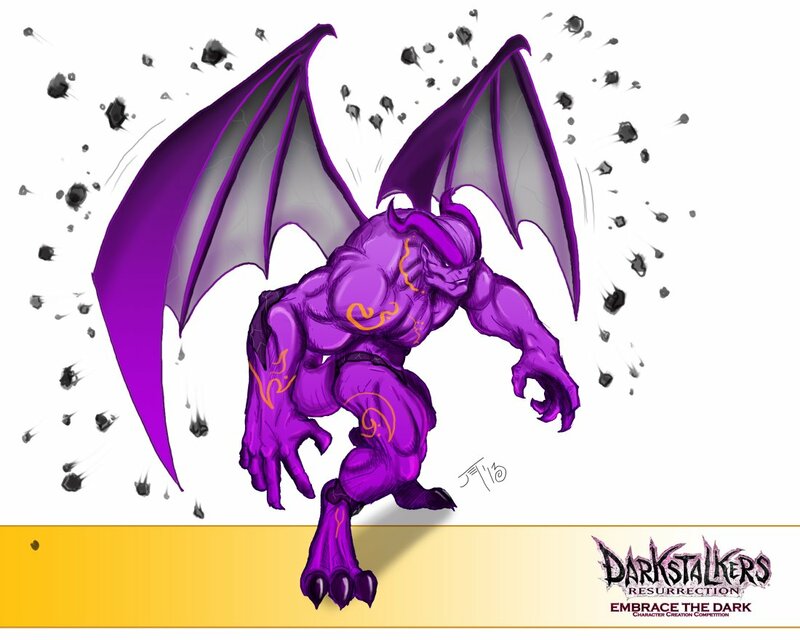 The gargoyle statue then breaks its stone and becomes alive. "Awaken, my brethren. I have freed you from the human's spell." 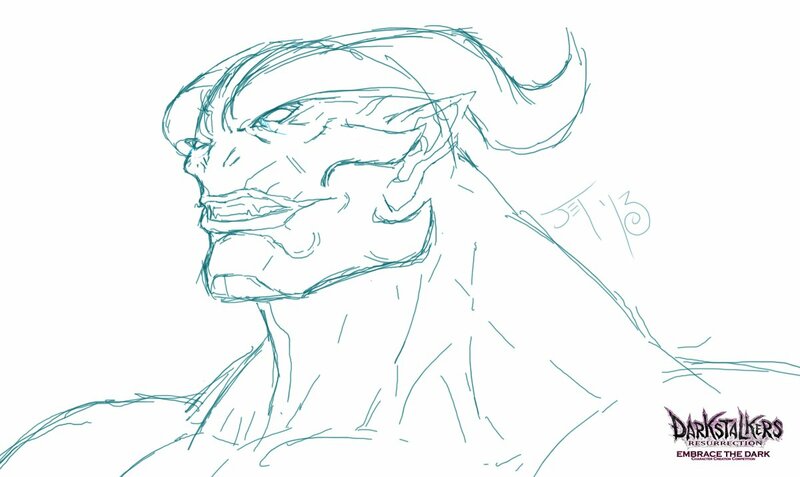 The smaller gargoyle cowers at the sight of Azael. "Do not be frightened, little one.. come with me, let us find any others and free them from this stone curse." 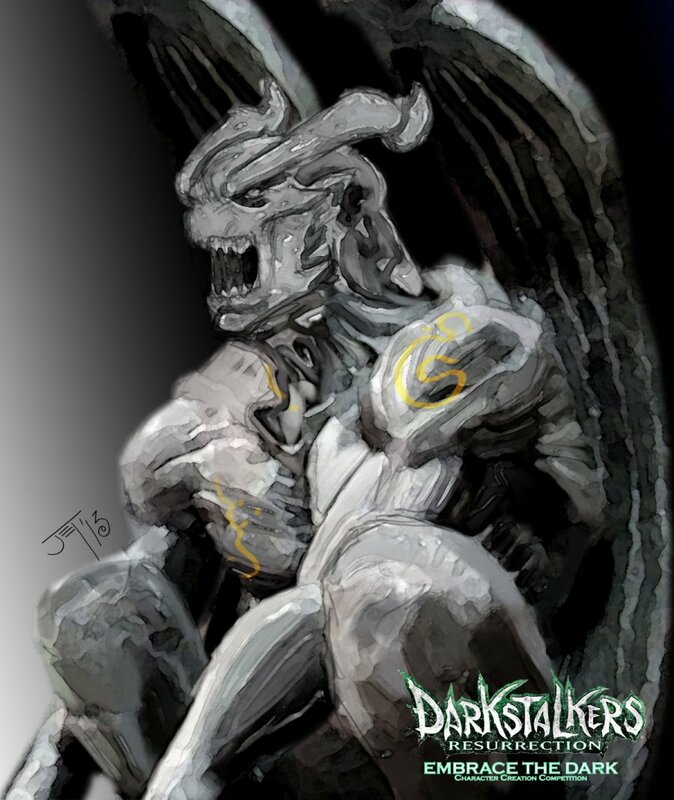 As the two gargoyles take flight, the small gargoyle speaks, "Where is our home?" 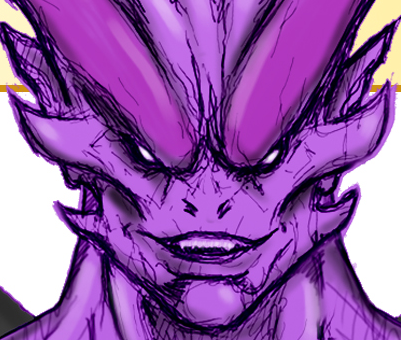 Azael smirks, "The World..."
"Your pain shall soon be over." Fighting Style: Stone armor and attacks, limited magic user. 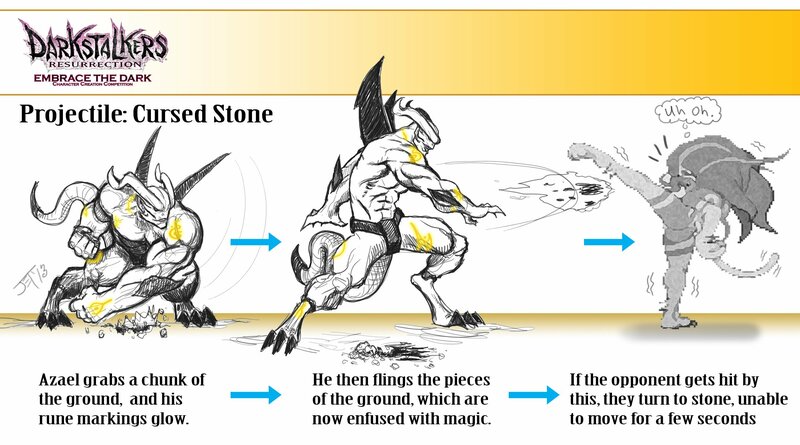 Blocking: The part of the body that is blocking turns into stone to absorb hits. Attacking: The part of the body attacking (fists, tail, feet) turns to stone on impact. Projectile: Can grab a chunk of the ground (rune markings then glow) and throw at enemy, if it hits, will turn them into stone for a short time. 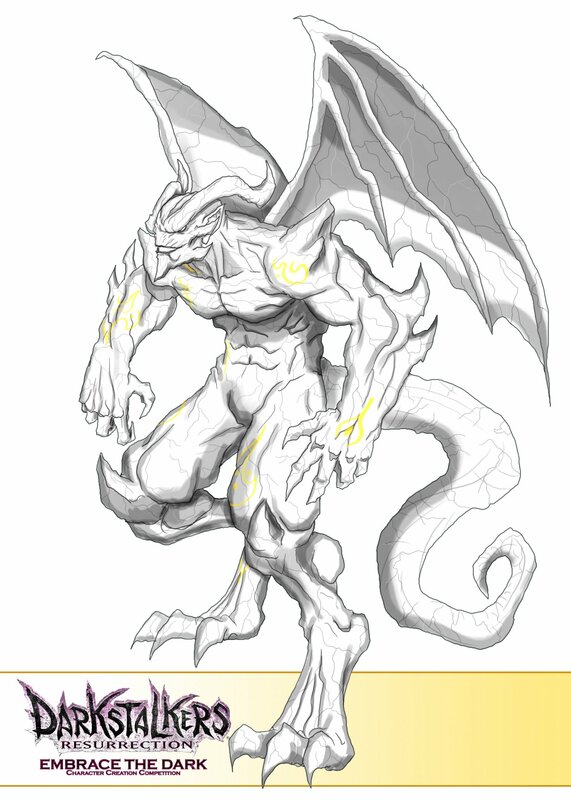 Ariel Attacks: Wings sprout and can perform a number of air attacks/ double jumps. Stone Mode: Turns completely into stone. 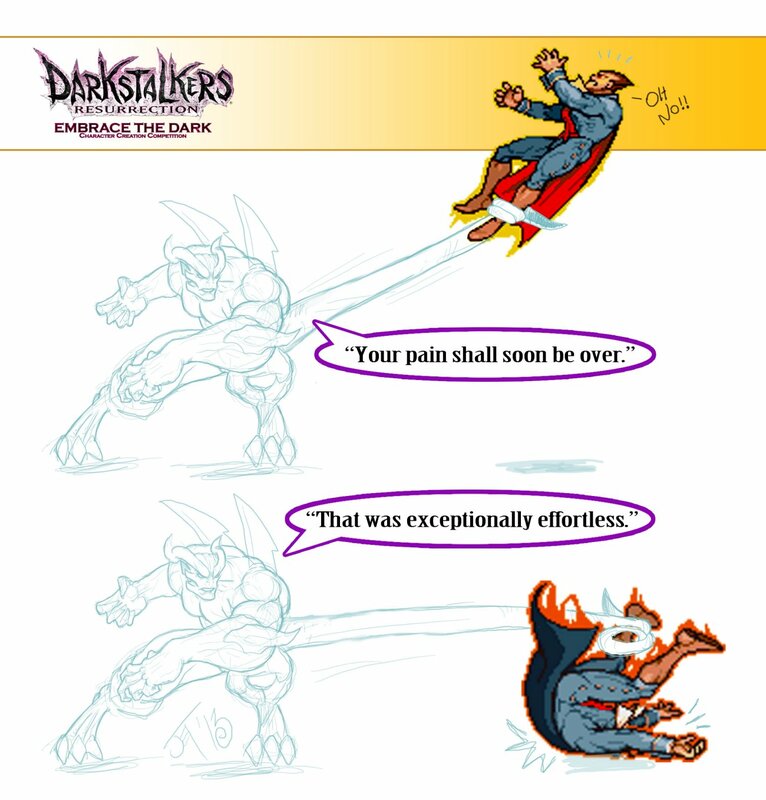 Attacks become much stronger, but cannot block or use air attacks. Special Throw: Grabs opponent, rune markings glow, then throws the opponent and opponent turns to stone for a short time. 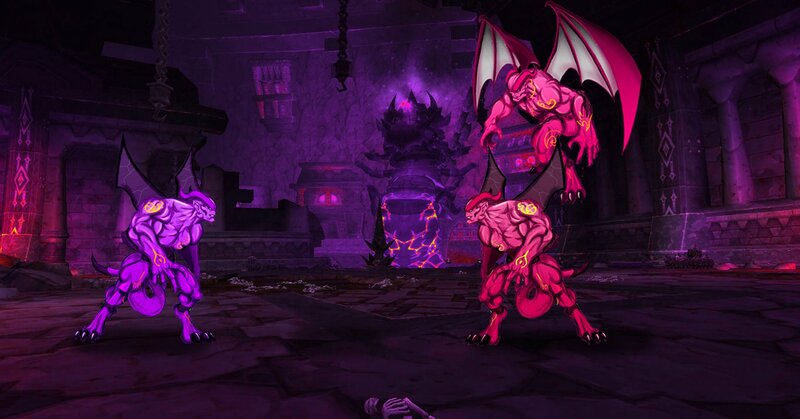 Azael can also use tail to grab opponent from the air and slam them on the ground. 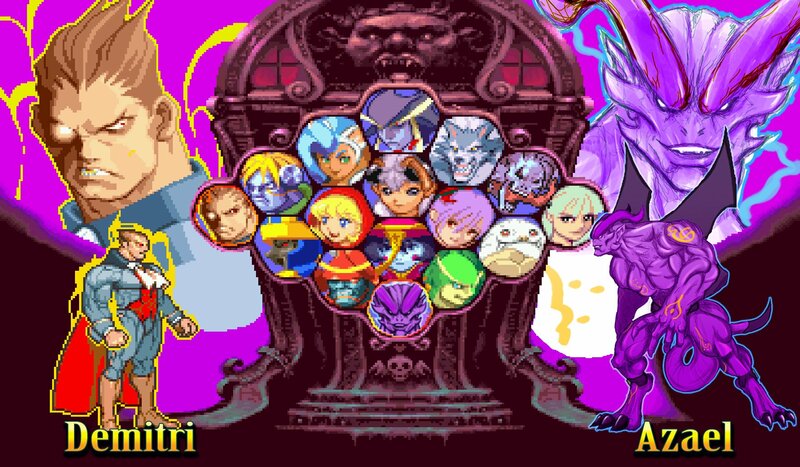 Special sweep: Uses tail from near full screen to sweep opponent. Super Move 1: Turns into stone mode and unleashes a barrage of stone spikes at the opponent. 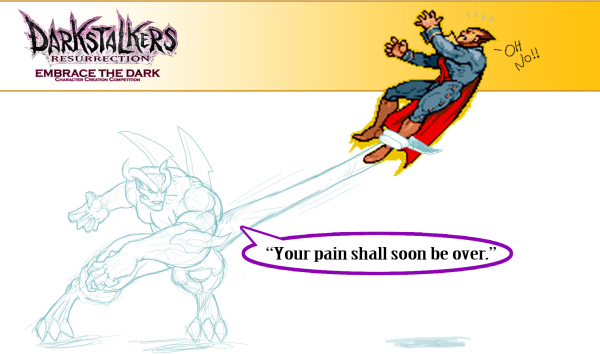 In-Game Taunt: Turns into stone in classic 'gargoyle squatting' position.